Home > ELECTRICAL > MISC. 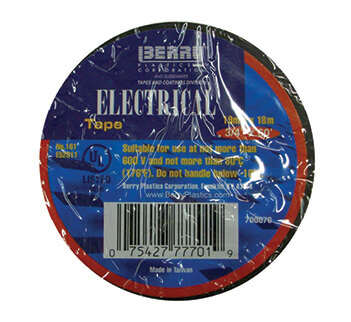 ELECTRICAL PARTS > TAPE BLACK ELECTRICAL 3/4"
7 Mill Vinyl, U.L. Approved.